GET ALL THE THINGS NOW! 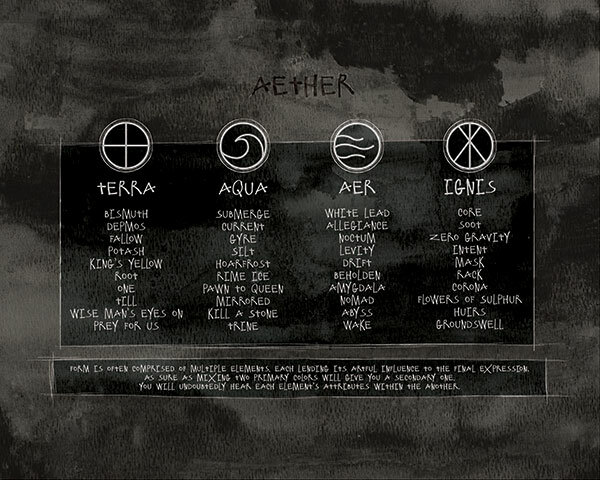 'aether' is the 5th element that holds all of the 4 elemental albums 'terra', 'aqua', 'aer' & 'ignis'. 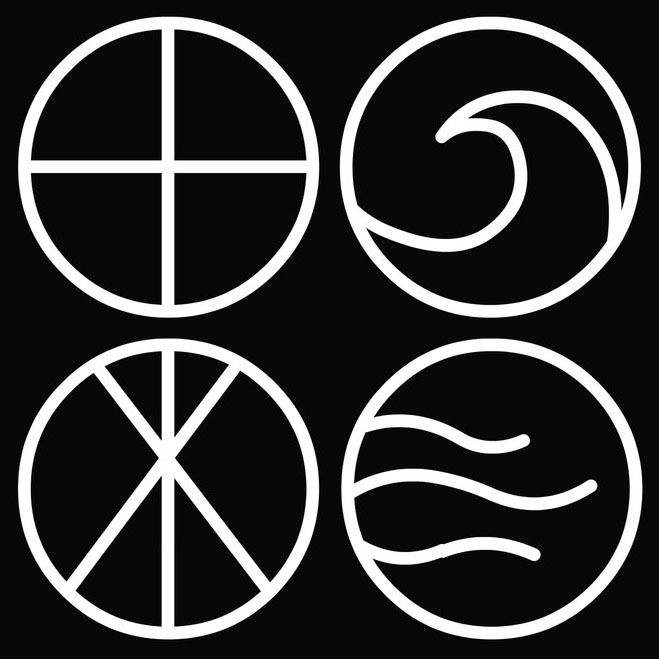 Each album has 10 songs that are representative of its respective element. The entire collection is only available in a glass bottle or digitally. There are NO CDs, NO tapes and NO vinyl records made of this release. What's inside: 40 songs (the full mega-album download of 'aether') .AIFF / lyric .txt files and 72 res .gifs of the artwork from the codex artbook. Our Virtual Codex is not currently compatible with small screens. Please check back soon or visit with a larger viewport.